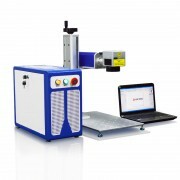 Color fiber laser marking engraving machine can be also called the Mopa laser marking engraving machine. 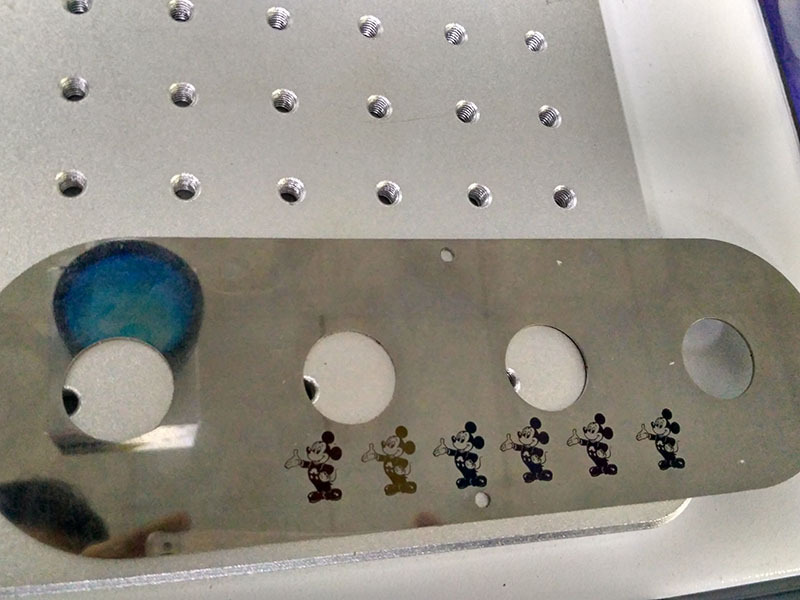 It could laser mark various different colors on some metal materials, for example, stainless steel, aluminum. Based on the needs of domestic and foreign color marking engraving markets, the laser machine is equipped with core optical devices, the most important is the Mopa fiber laser that could adjust the pulse width to mark some special colors on stainless steel and aluminum, not only the gray color or black. Yellow color, Red color, Pink color, Purple color are all available. The color laser marking engraving machine‘s scanning galvanometer is imported from some internationally prestigious brands. 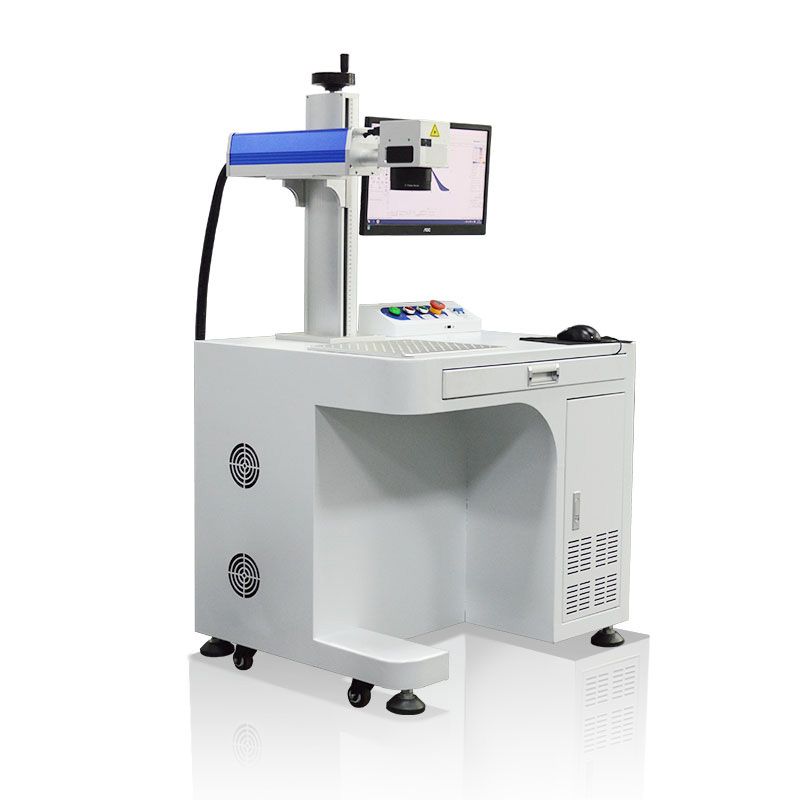 These core optical devices enhance the color laser marking engraving machine’s performance and stability. The color laser marking engraving machine is also armed with our self-developed high-speed marking control card and powerful software. It is suitable for high-precision and high stability marking applications for various industries. For example, metal laser marking, plastic laser marking. 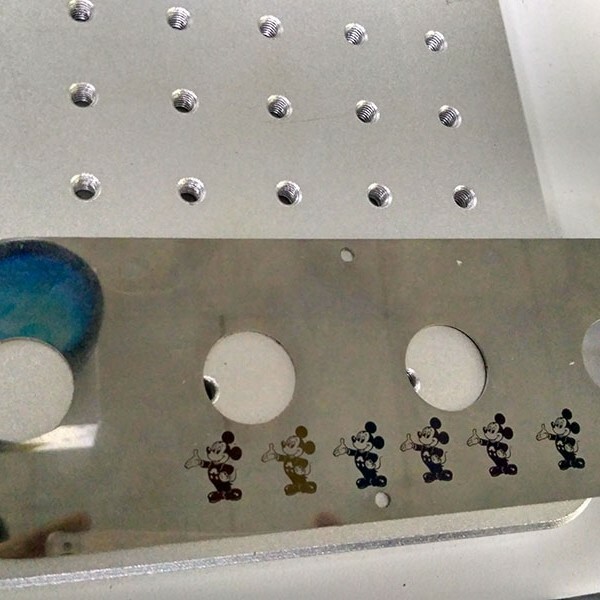 and the Most featured application is color laser marking engraving on metal. The color laser marking engraving machine has the advantages of high efficiency, high quality, low material consumption and pollution-free. 1. The whole color laser marking engraving machine‘s warranty is 1 year. Any parts have a quality problem during the warranty period, We will send you a new replacement for free. And Customer affords the replacement shipping cost. 2. The training video, detailed manual, and catalog sent with the machine. The customer could study the operation by the clear training video. 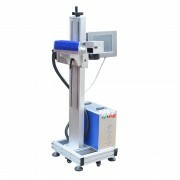 And the use of color laser marking engraving machine will be very easy. 3. If there is a technical problem or new inquiry, Mactronhase fast response after service support by online or email even if need by the phone call. Widely applied in ultra-fine laser process of high-end market.